found...Last Hope Animal Charity added a new photo. 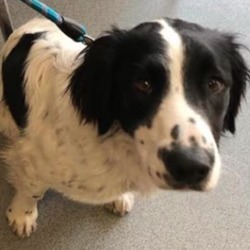 2 mins · ** FOUND ** This lovely girl was found this morning wandering around near the Metges Rd, Dublin Rd junction just outside Navan. Please let us know in the comments below if you own or recognise her, the finder will be monitoring this post. Proof of ownership will be required. Please like and share so we can get her back with her family really soon.